Friday, February 24, 2017. 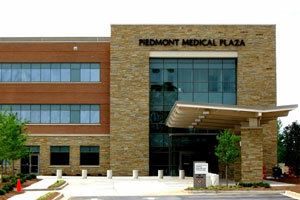 Met with four doctors today, a surgeon, plastic surgeon, chemo doc and radiologist. There was also a nurse navigator and social worker. Long day. Lots of information, even more paperwork. Not many answers, not yet anyway. Before we go any further allow me to make a disclaimer of sorts. This appears like it will be a rather long process. I’ll try to keep these updates timely and as frequent as possible, especially if there are significant developments. That being said, rather than employing the parenthetical “if you can call anything related to cancer ‘good news’,” every time something less than totally dreadful happens, let me establish sort of a definition. In the context of cancer in general and Teri’s cancer in particular, the only thing that would qualify as “good news” would be miraculous and total supernatural healing. That would, in fact, be great news. Short of that, surgery and treatment that successfully removes all the cancer and no recurrence at those milestone markers of 5 and 10 years would be the best we could hope for news. Anything less can only be accurately on a scale of dread. One of the tests that they do on breast cancer cells is for certain receptors. Three in particular; estrogen receptors (ER), progesterone receptors (PR) and HER2 receptors. Cells with none of these (or at least no more than normal cells have) are very bad news. Those kind of cells are very aggressive, grow very quickly and are not especially receptive to treatment. What they hope for is cells positive for the ER and PR and negative for a protein that makes the cells more likely to grow and divide, human epidermal growth factor (HER2). Those cells are the least aggressive, slow growing and very receptive to treatment, especially a fairly new drug treatment that blocks those receptors in any cells that may be left after surgery, chemo and radiation. Those are the kind of cells Teri has. And that was about the closest we got to a definitive answer on Day 10. The doctors wanted to get an MRI so they would have a better image of the tumors. And, given Teri’s family history they also set up genetic testing that would determine if Teri has mutated BRCA1 and/or BRCA2 genes. These are the mutations that account for 20% to25% of hereditary breast cancer. The rest of the information we got was all of the “if this happens then we’ll do this and this will follow,” variety. As it stands there will be surgery of one type or another. Either a lumpectomy or mastectomy. Reconstruction surgery will happen either simultaneously, if it’s a simple lumpectomy, or sometime later if it’s a mastectomy. Once the surgery is over the tumor cells will be tested. That test (and the type of surgery) will determine if and how much chemotherapy will be required. After chemo (if necessary) will come radiation, maybe. If the surgery is a lumpectomy there will almost certainly be radiation therapy. If the surgery is a mastectomy there may or may not be radiation therapy. Like I said, lots of “if this, then that,” information. After the MRI (which took place on Day 14) and the genetic testing (which took place on Day 15) the team of doctors will meet on Friday, March 3rd, Day 17, to go over all of the test results and discuss treatment options. They will present those options and their recommendations on Monday March 6th, Day 20. We’ll consider those options, make a decision and schedule surgery. I like this team concept, all of the doctors working together to ensure that everyone is on the same page and has the same information. 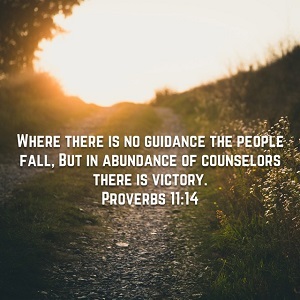 There’s something Biblical in the concept of seeking the guidance of many counselors. So for the next 5 days we hurry up and wait. Seems to be a lot of that going around lately.